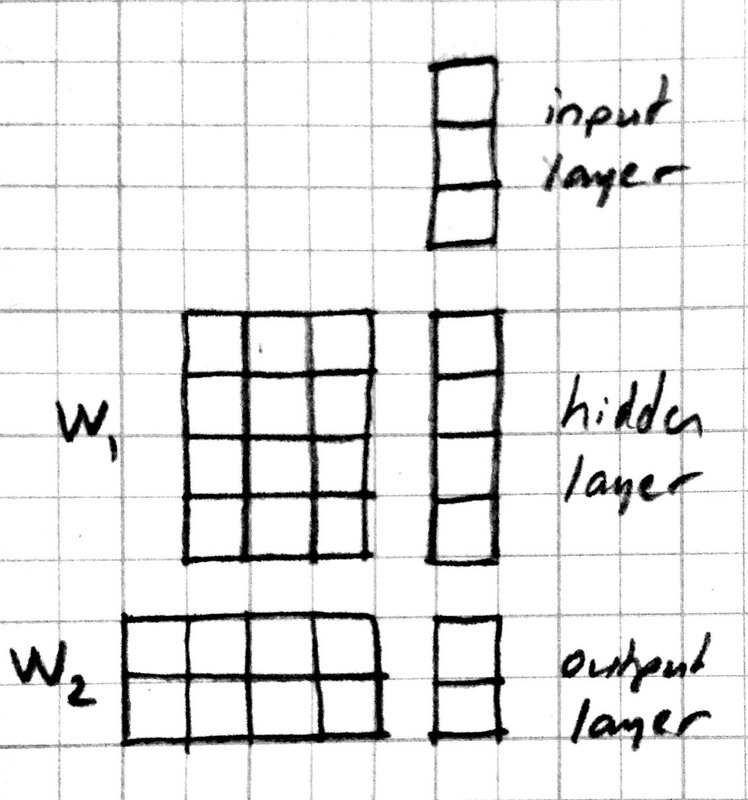 In this section we create multilayer perceptrons by stacking multiple linear layers with non-linear activation functions in between. 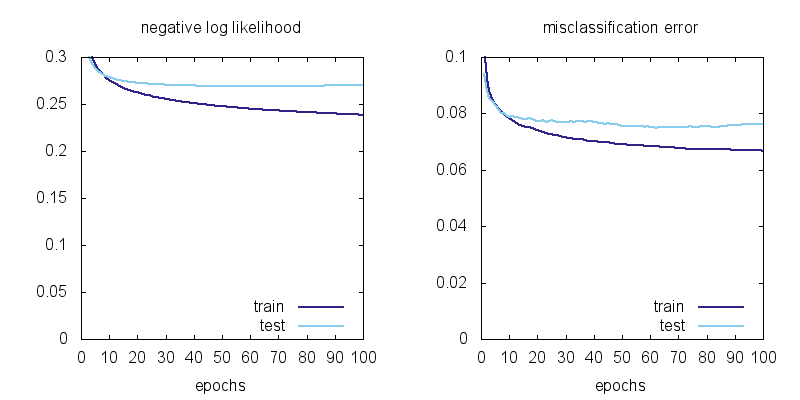 Note that instead of using y1 as our prediction, we used it as input to another linear classifier. 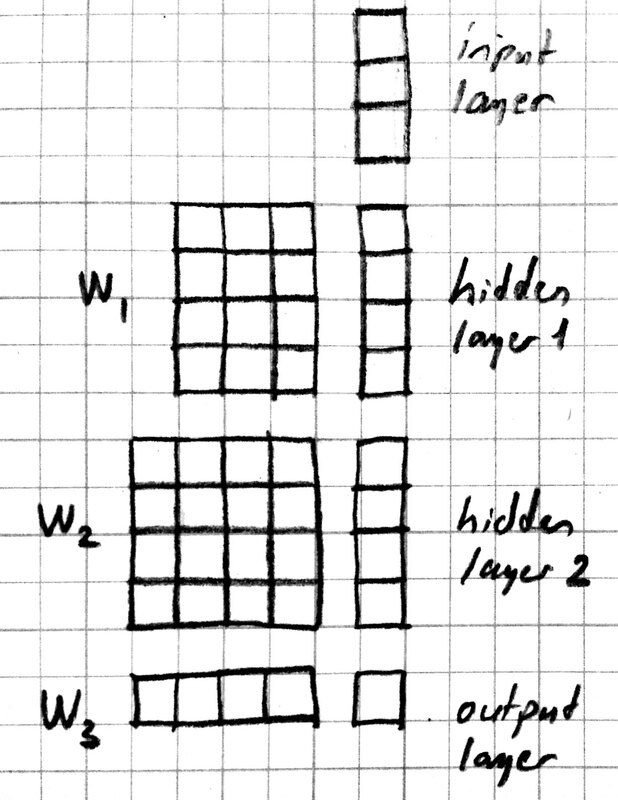 Intermediate arrays like y1 are known as hidden layers because their contents are not directly visible outside the model. We can observe a few things: using MLP instead of a linear model brings the training error from 6.7% to 0 and the test error from 7.5% to 2.0%. 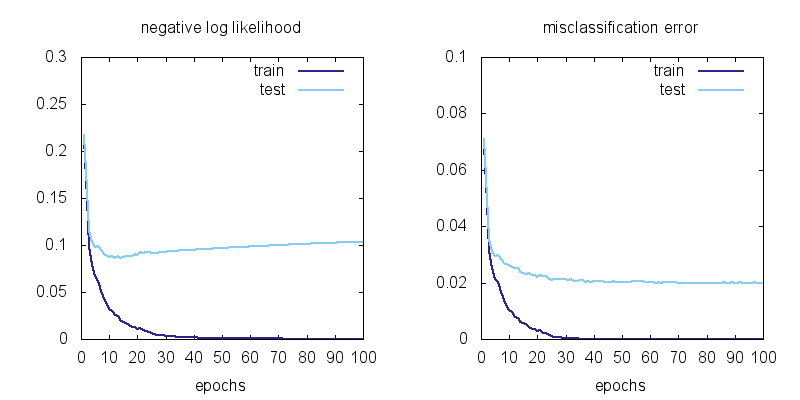 There is still overfitting: the test error is not as good as the training error, but the model has no problem classifying the training data (all 60,000 examples) perfectly! 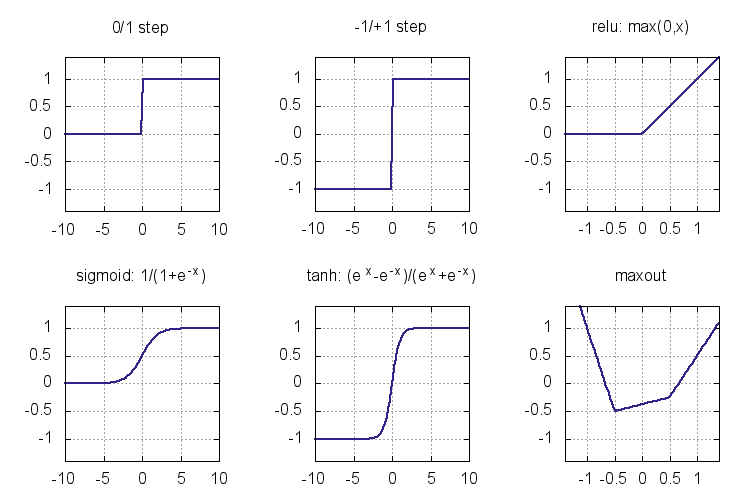 See (Karpathy, 2016, Ch 1) for more on activation functions and MLP architecture. You might be wondering whether relu had any special properties or would any of the other nonlinearities be sufficient. 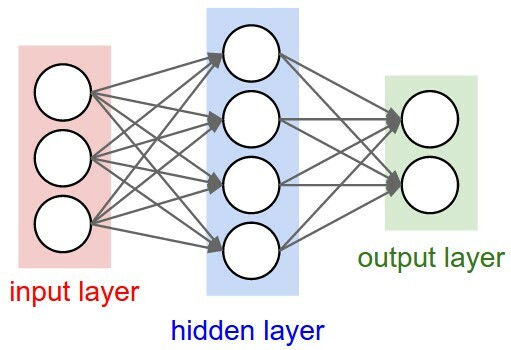 Another question is whether there are functions multilayer perceptrons cannot represent and if so whether adding more layers or different types of functions would increase their representational power. The short answer is that a two layer model can approximate any function if the hidden layer is large enough, and can do so with any of the nonlinearities introduced in the last section. Multilayer perceptrons are universal function approximators! We said that a two-layer MLP is a universal function approximator given enough hidden units. This brings up the questions of efficiency: how many hidden units / parameters does one need to approximate a given function and whether the number of units depends on the number of hidden layers. The efficiency is important both computationally and statistically: models with fewer parameters can be evaluated faster, and can learn from fewer examples (ref?). It turns out there are functions whose representations are exponentially more expensive in a shallow network compared to a deeper network (see (Nielsen, 2016, Ch 5) for a discussion). Recent winners of image recognition contests use networks with dozens of convolutional layers. The advantage of deeper MLPs is empirically less clear, but you should experiment with the number of units and layers using a development set when starting a new problem. Please see (Nielsen, 2016, Ch 4) for an intuitive explanation of the universality result and (Bengio et al. 2016, Ch 6.4) for a more in depth discussion and references. 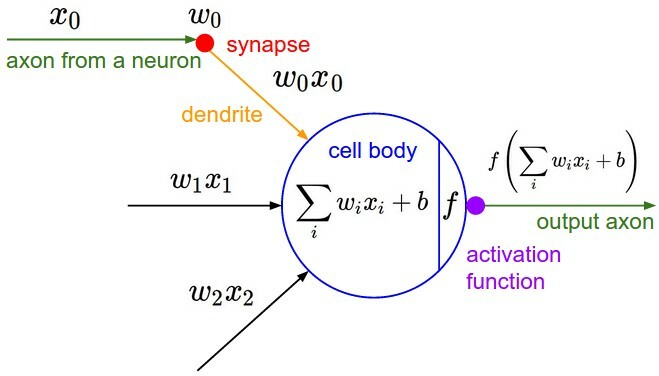 This model is called an artificial neuron, a perceptron, or simply a unit in neural network literature. We know it as the softmax classifier. We can identify bad software engineering practices in this definition in that it contains a lot of repetition. The key to controlling complexity in computer languages is abstraction. Abstraction is the ability to name compound structures built from primitive parts, so they too can be used as primitives. This may make the definition of mlp3b a bit more readable. But it does not reduce the overall length of the program. The helper functions like relu_layer1 and relu_layer2 are too similar except for the weights they use and can be reduced to a single function. In this example stacking the layers in a loop saved us only two lines, but the difference can be more significant in deeper models.